There are many studies that have confirmed the benefits of eating walnuts. Researchers have linked its consumption with reduced risk of prostate and breast cancer, and it has been known to support brain health as well. It’s for these and other reasons that experts have labeled it a superfood. Now, researchers from the LSU Health New Orleans School of Medicine have found another reason for consumers to add the snack to their diet. Lead author Dr. Lauri Byerley says that eating walnuts can positively alter the makeup of gut bacteria, which contributes to better overall health. "Walnuts have been called a 'superfood' because they are rich in the omega-3 fatty acid, alpha-linoleic acid and fiber, and they contain one of the highest concentrations of antioxidants," said Byerley. "Now, an additional superfood benefit of walnuts may be their beneficial changes to the gut microbiota." Byerley and her colleagues came to this conclusion after analyzing how walnut consumption affected mice models. Results showed that mice who ate walnuts had a greater variety of bacteria in their guts, including Lactobacillus bacteria, which the researchers say are more functional and beneficial. "We found that walnuts in the diet increased the diversity of bacteria in the gut, and other non-related studies have associated less bacterial diversity with obesity and other diseases like inflammatory bowel disease," says Byerley. The researchers go on to say that the bacteria they found in mice models closely resembled the cultures that would be present from ingesting probiotics. 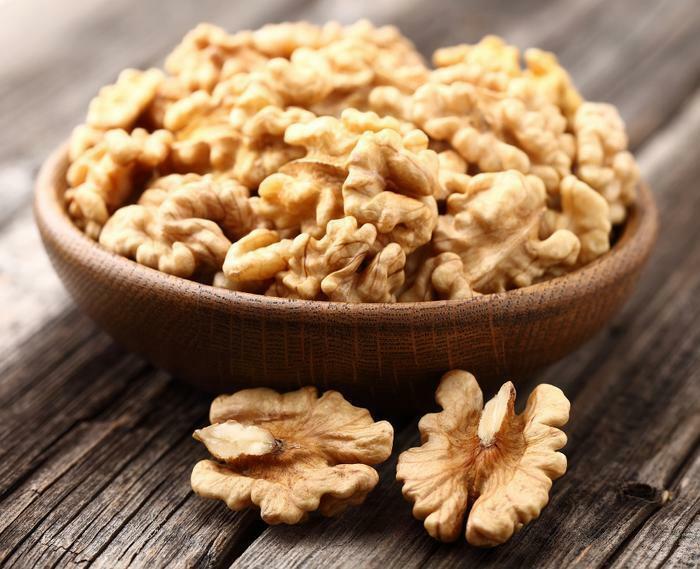 For that reason, they say that walnuts may be a beneficial prebiotic that promotes the growth of other beneficial microorganisms in the intestines. "Gut health is an emerging research area, and researchers are finding that greater bacterial diversity may be associated with better health outcomes," Byerley notes. The full study has been published in the Journal of Nutritional Biochemistry.